We specialize in oversized jumbo glass replacements. No job is too big of a task. Universal Glass is installers of the largest glass worldwide, with the capacity of installing any size glass within a 48 hour time frame. 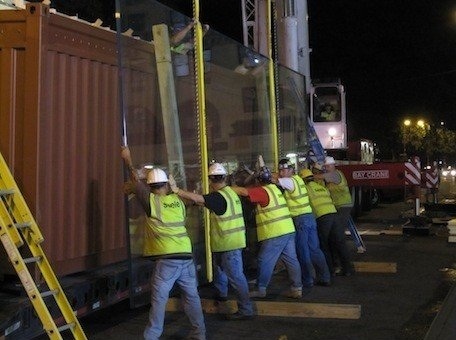 We have a huge selection of oversized and jumbo glass in stock and ready to be installed. Our professional skilled technicians are on call 24 hours a day 7 days a week for emergency services and glass repairs. Call us now for a free estimate. Both Union and non-union services available.